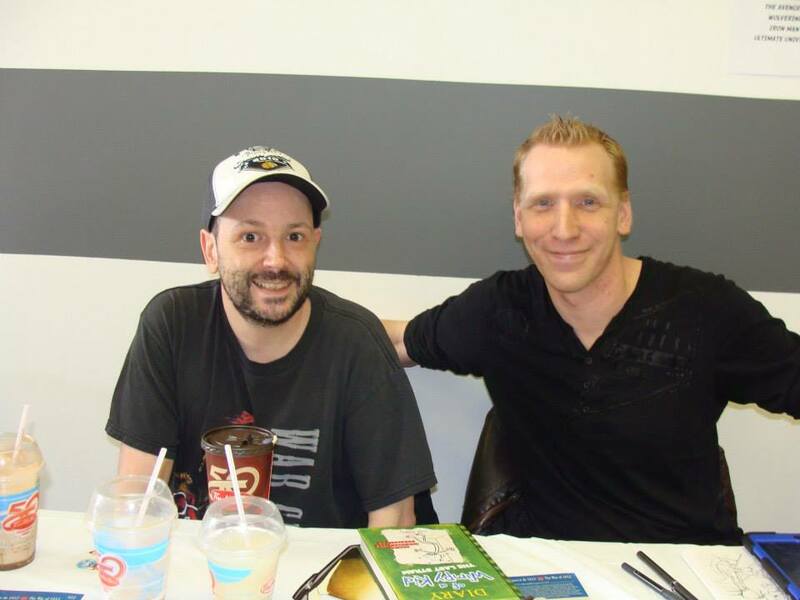 FCBD Kicks Off The Infestation Tour! 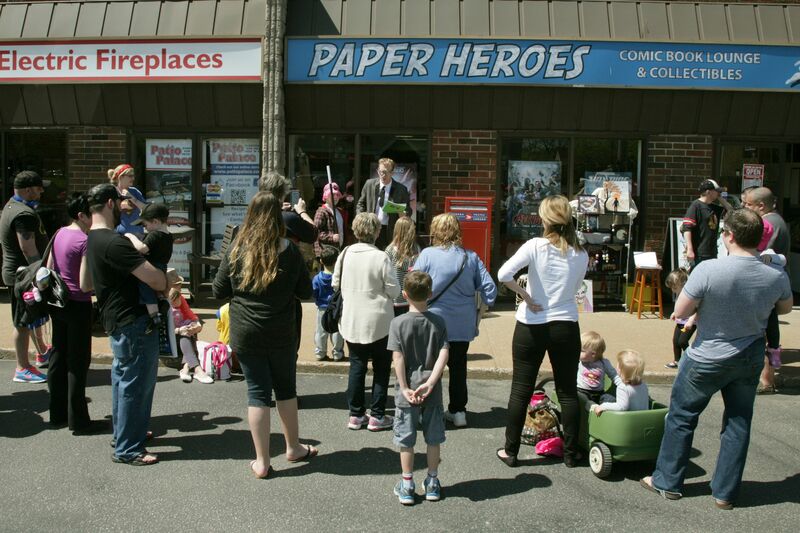 Saturday May 3rd 2014 was the 13th annual Free Comic Book Day. Originally conceptualized by retailer Joe Field, the event was intended to introduce new people to a beloved hobby, to call back former comic book readers, and to thank current comic buyers for their continued support. Over the past 13 years the day has continued to grow in popularity and exposure. 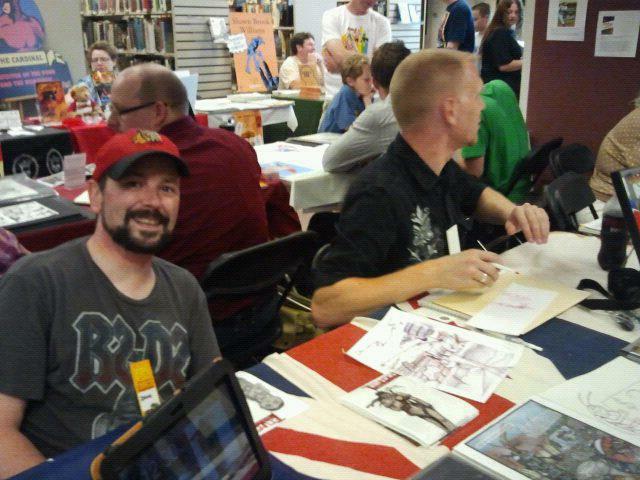 This was Twisted Studio’s third year attending Free Comic Book Day, and we’ve used it as a kick-off for our yearly ‘tour’ of shows and conventions. This was a particularly exciting year for us. We are taking preorders for TWO projects for the first time, but moreover, we were able to spend FCBD with our friends at Paper Heroes Comic Lounge. Owner Scott St Amour just opened the lounge six months ago, so this was his first Free Comic Book Day, and we couldn’t be happier for him. Determined to make the event a spectacular one, Scott set about rallying local businesses and artists to the cause. We jumped at the opportunity, as did Glass Monkey Studio’s April Fawler, and the phenomenally talented Johnny D. A barbecue was set up to feed the masses. Served and prepared by Scott’s friends and family, all proceeds from the food were donated to support Muscular Dystrophy. Patio Palace, Tiffany’s Diner, and Jeff’s Meats were co-sponsors of the event. There’s no denying the day was as amazing as the Paper Heroes had planned it to be. With some great cosplayers in attendance, and guests arriving in costume it was hard not to get into the spirit. As the excitement and adrenaline from the day is only now beginning to fade, we’d like to thank all of our fans who came to see us, and all of the new friends we made throughout the day. 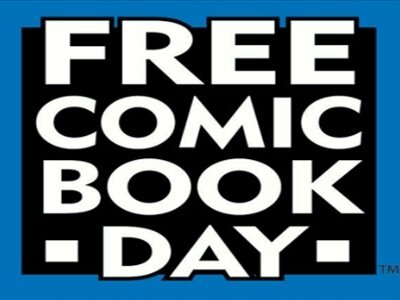 Ofcourse we’d like to offer a sincere thank you to Scott St Amour, his family, and friends for putting on such a tremendous Free Comic Book Day! 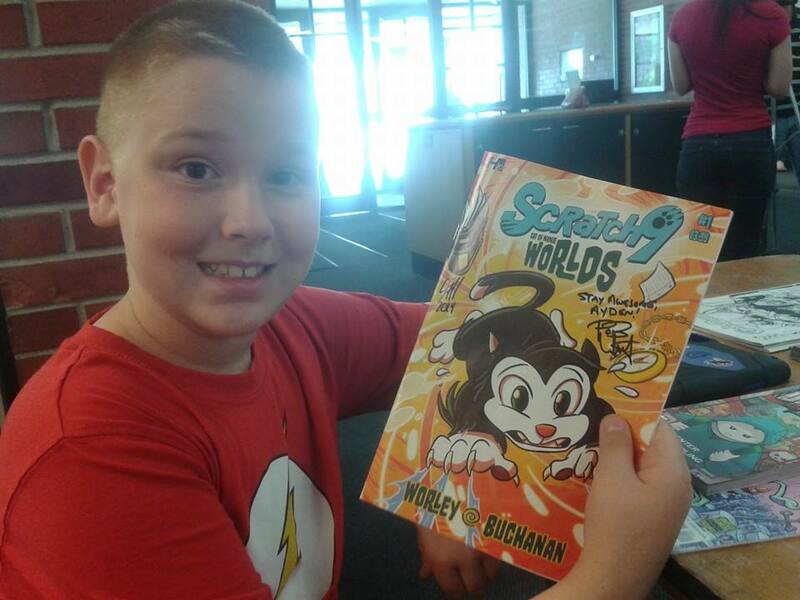 To see more pictures from Free Comic Book Day check out our Facebook page, and stay tuned for more information on the next stop in our 2014 Infestation Tour. The Underground team just updated the Back Issues section of their website, with a dedicated section for the original run of the series. This is really interesting because what you’ll notice right away when you visit the page is a scan of the original logo from The Underground series. For those who may not know, Paul Reaume first came up with the idea for The Underground when he was sixteen years old, he printed the first issue of the series when he was seventeen. Needless to say there has been quite a change in the caliber of artwork from then to now. This look into the past of The Underground really got us thinking about the past of Twisted Studio. The Underground was neither the first nor the last project to be branded with the twisted ‘T’. In light of that we thought we’d take a look at a couple of the other projects which were pitched to big publishers. 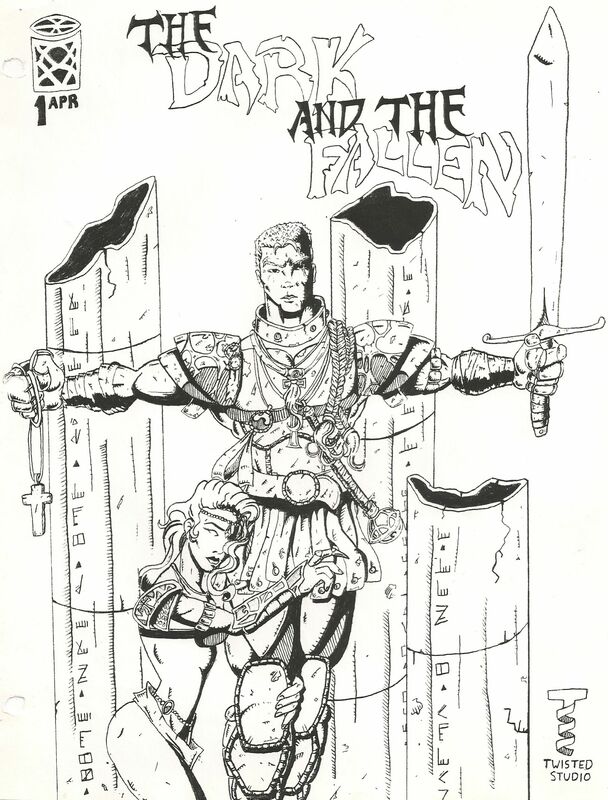 The Dark & The Fallen was one of the random story ideas put together for a pitch with Image Comics. Not surprisingly, we were not picked up by the company, and no publishing deal was made. In any case, we’ve held on to the artwork from the pitch, there are actually three pages of story drawn up. Perhaps we’ll post those later for a laugh. The story focused on Davor Dharkken, a warrior with a shady past. The Dark One, he is known as by villagers from far and wide. In a strange stroke of fate or happenstance Davor is forced into the protection of a fallen angel. From there our adventures would unfold. The Outlaws 3 would have been thought up around the same time The Underground was actually. They were both inspired by the same family vacation spot, Smoke Rise Ranch. As the name suggests this western story followed three outlaws, though they were not all criminals to start. 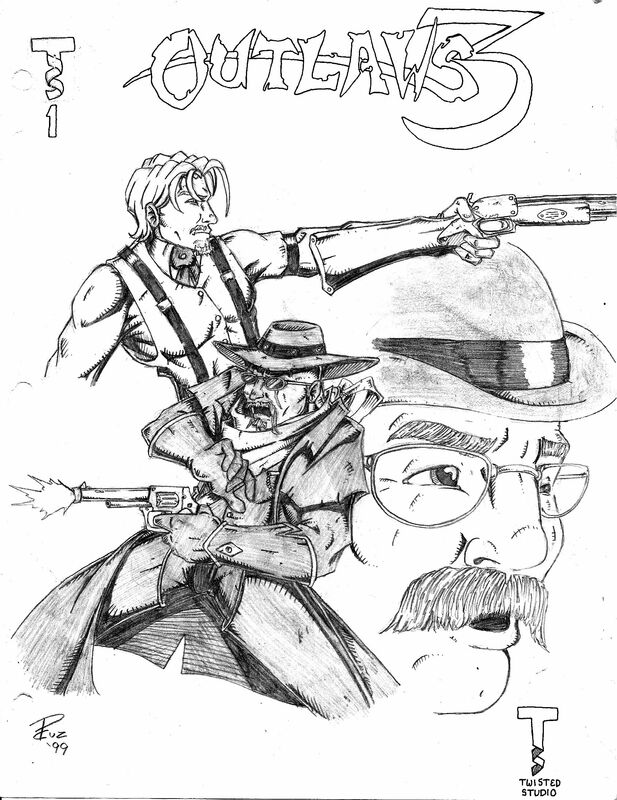 The trio is made up of an innocent bartender, a hardened bounty hunter, and a card hustler (who is really the only true outlaw in the bunch). A nasty vendetta with a crooked politician brings these three unlikely companions together in this tale. Once again the story was NOT picked up by any major publisher, but again we held on to the artwork for later reflection and laughter. Well there you have it ladies and gents, the past of Twisted Studio. We’ve dusted off enough artwork for the day, time to put our eyes back to our present and future plans. We hope you’ve enjoyed this blast from the past, I’m sure there’s plenty more where that came from.